From cheering for our favourite drivers at the Calgary Stampede to hosting one of the cities most successful charity golf tournaments, The Country Hills Golf Club Charity Classic, the Big Hearted Mavericks are all about “having fun and making a difference”. 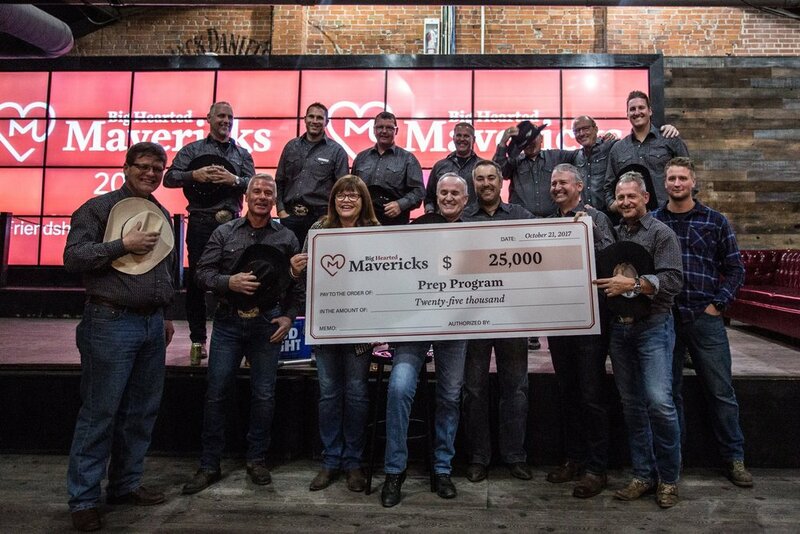 Since purchasing our first chuckwagon tarp at the 1999 Calgary Stampede the Big Hearted Mavericks have been built on the foundation of fun and friendship, focusing on the common goal of making a difference in the community in which we live. Founded as a not for profit society in 2000 under the name the Mavericks Chuckwagon Society, a group of 25 like- minded local businessmen have been dedicated to two objectives: actively engage in Children’s Charity Fundraising and having fun supporting the great sport of Chuckwagon Racing. All Big Hearted Mavericks participate and volunteer their time to assist in the raising of funds to actively support Calgary and area children-focused not-for-profit agencies and individual needs. 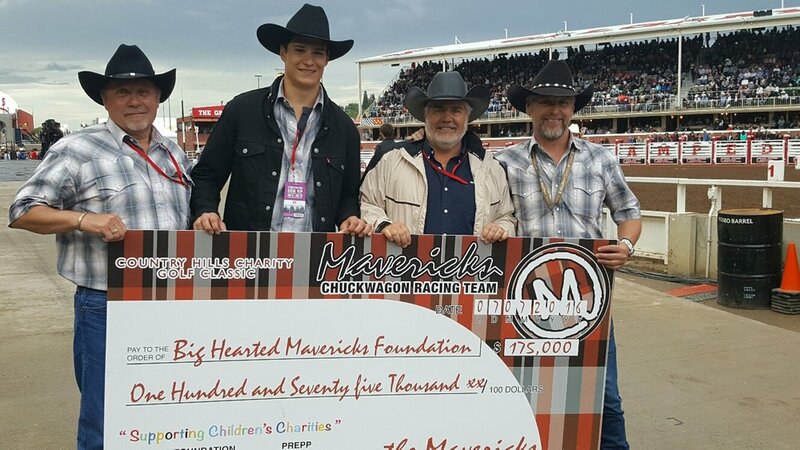 To date, the Big Hearted Mavericks have raised over $4 million towards children’s charities in the Calgary area. All chuckwagon operating costs are funded by Maverick member fees ONLY and the sale of barn nights. All funds raised from dedicated charity fund raising events must be used ONLY for Charity. In 2011 the Mavericks established the Big Hearted Mavericks Foundation, a registered charitable foundation. All funds raised by the group is transferred to and donated from the foundation. Fun, Friendship and Making a difference. This is what it means to be a Big Hearted Maverick. All funds raised from dedicated charity fund raising events (i.e. The Country Hills Golf Club Charity Classic, Hitmen Western Night) must be used ONLY for Charity. All chuckwagon operating costs are funded by Maverick member fees ONLY and the sale of barn nights. Excess funding in operating maybe transferred to charity by vote at membership meeting. All charity funds raised by the Mavericks will be transferred to and donated through the Big Hearted Mavericks Foundation. For more information on our impact, please download our financial report. Dale Hansen, Cobar Fibreglass Solutions Ltd.
Darren Exner, X-Treme Packaging Services Inc.
Dave Ruby, Rubydale Asphalt Works Ltd.
Jan Beringer, Rohde & Liesenfeld Canada Inc.
John Nash, Canadian Energy Services L.P.
Ken Malvin, KMC Sales Inc.
Mike Dreger, Century 21 Bamber Realty Ltd.
Ken Moen, Scollard Energy Inc.